Image Processing – G Squared L.L.C. 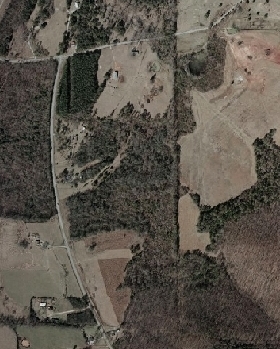 An orthophoto is an aerial photograph geometrically corrected (“orthorectified”) such that the scale is uniform; the photo has the same lack of distortion as a map. G-Squared is one of the first companies to use the new database structured ortho software from Z/I Imaging. This software directly interfaces with the softcopy stereo workstations, allowing us to greatly reduce the cost of digital orthophotos. Individual sheets or mosaics can be generated with the same ease of operation while incorporating automated or manual seam lines, tone balancing, and software generated electronic dodging of the image. 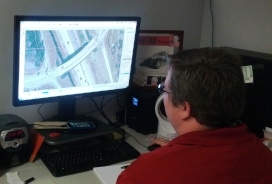 Our orthophoto software supports rotated pixels, which can reduce the file size as much as half. This eliminates the “Minimum Bounding Rectangle” issue that has plagued projects with imagery collected at an angle to north. We can provide you with a sample image file so that you can verify that your software can properly display this format. G-Squared can provide compressed image files to our clients. When used responsibly, compression is a safe and proven technology that reduces file size and display time. G-Squared can supply you with samples of compressed vs. non-compressed for your review in order to assist you in determining if compression is suited to your project.